Last week, US President Donald Trump signed the John S. McCain National Defense Authorization Act, outlining the defense department’s budget for 2019. One caveat is being hailed as the largest development in the rare earths sector since 2010. Last week, US President Donald Trump signed the John S. McCain National Defense Authorization Act (NDAA), outlining the defense department’s 2019 budget. While most of the act is fairly standard, one caveat is being hailed as the largest development in the rare earths sector since 2010. The 788-page document, which covers every aspect of the military, from the newly established Space Force (a branch of the Air Force) to the procurement of materials for weaponry, takes aim at Chinese materials and manufactured goods — specifically the country’s rare earth element (REE) magnets sector. The US will no longer permit shipments of REE magnets produced in China into the country. Magnets manufactured in North Korea, Russia and Iran are also being targeted for embargo. Rare earth magnets are considered the strongest type of permanent magnet available. They are used in computers, wind turbine generators, magnetic resonance imaging, electric vehicles and a variety of other machines and devices. When it comes to the military, REE magnets are used in guidance and control systems, defense and electronic warfare, electric motors, targeting and weapons systems and communication, making them a vital resource for the American Armed Forces. While that may seem like another page in the ongoing global trade war, there is a little bit more at play. “This year’s NDAA represents an important opportunity to implement an effective approach to confront a growing array of threats. The administration’s National Defense Strategy outlined a framework for identifying and prioritizing these threats,” said Senator John McCain, the namesake of the act. “Through the NDAA, Congress is fulfilling its duty to help translate that strategy into policy and align resources to implement it,” he added. China produced 105,000 MT of rare earths last year, accounting for the largest chunk of global production. Australia, Brazil and Russia account for much less at roughly 25,000 MT. 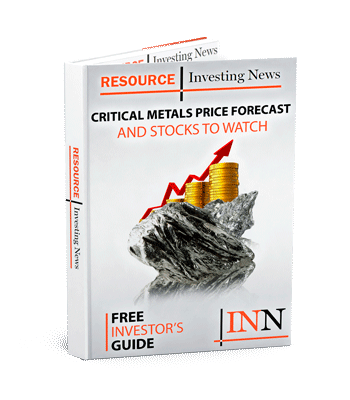 While rare earths exploration and production companies outside of China are thrilled about the announcement, some analysts believe the news will have less of an impact than the aluminum and tin tariffs from earlier this summer. “This only restricts the Department of Defense from, one would presume, directly importing rare earths from China,” said Jon Hykway, president and director of Stormcrow Capital. The move to ban imports of specific metals first began last summer, when the US government pledged US$40 million for ramped-up domestic exploration for REEs. The focus on REEs came after the Chinese-partnered acquisition of the sole American rare earths mine, Mountain Pass. Even though the US is a large consumer of REEs, it is not the only country that uses the metals in a variety of ways. Ultimately the REE ban may be more of a symbolic move towards domestic production than another trade issue between adversaries.